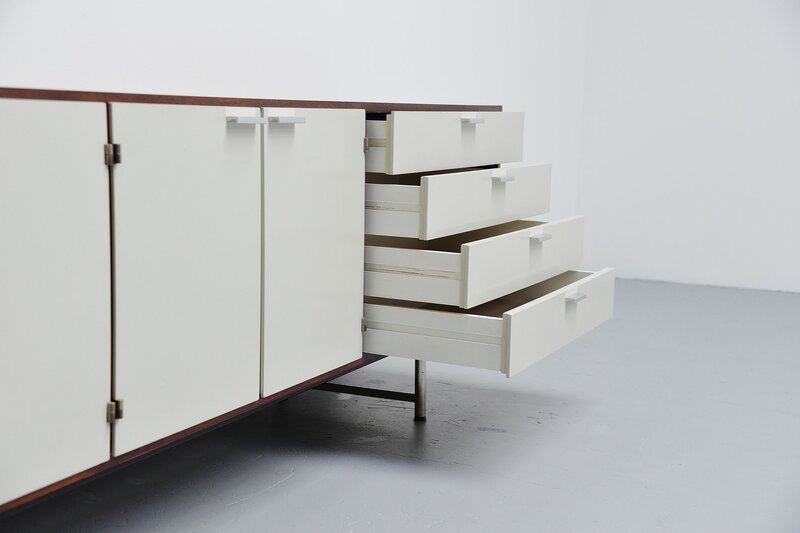 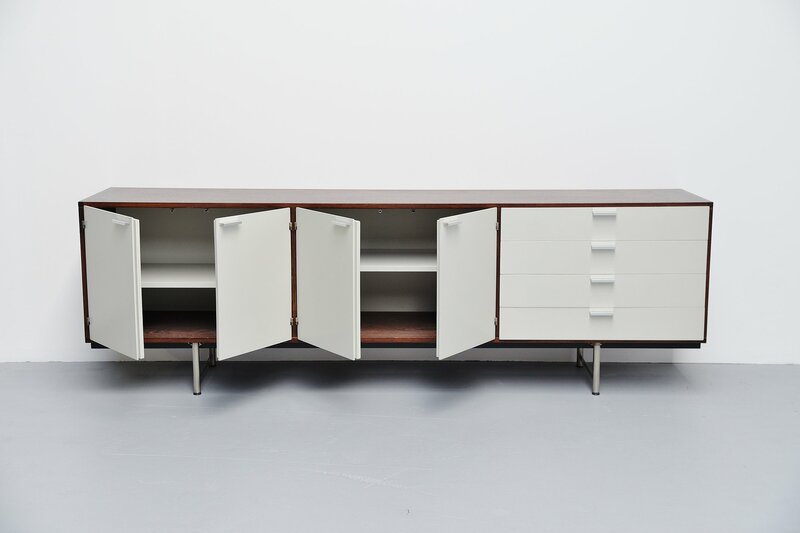 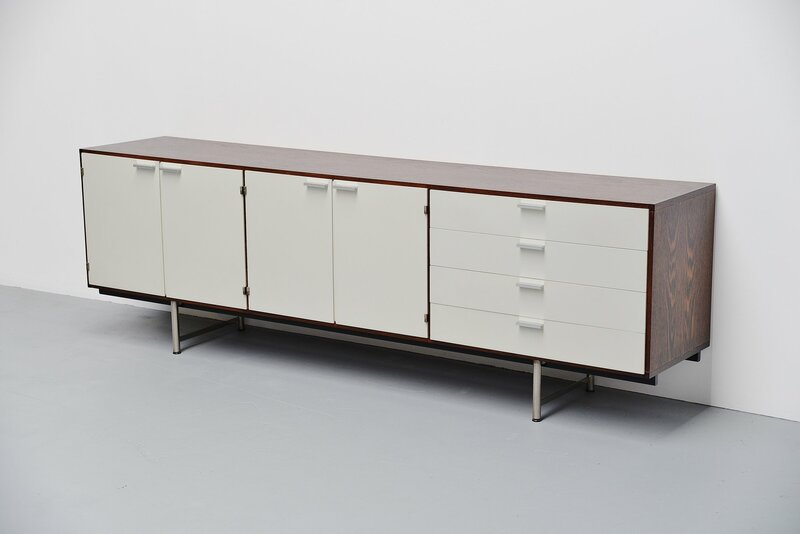 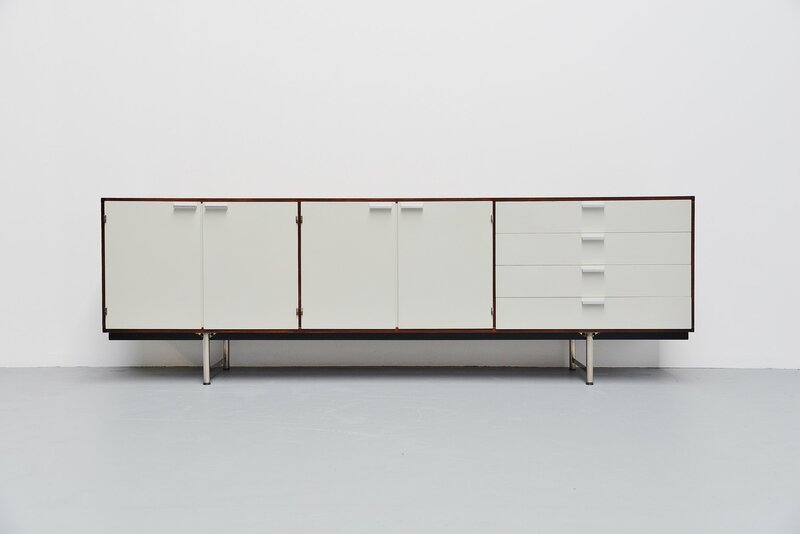 Very nice modernist sideboard designed by Cees Braakman, manufactured by Pastoe UMS Holland 1960. 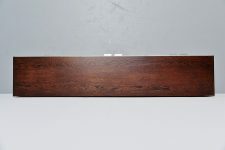 This is for a sideboard with a wenge cabinet and white painted doors. 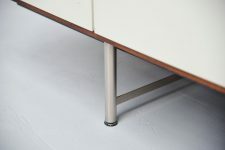 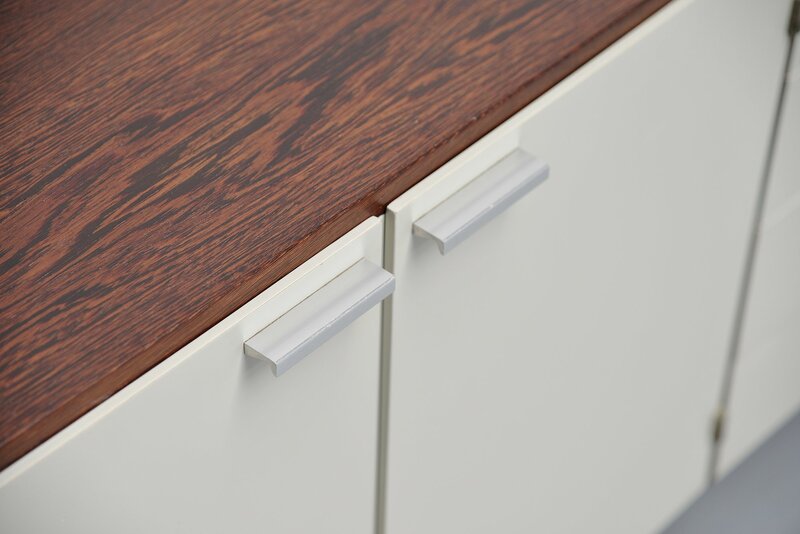 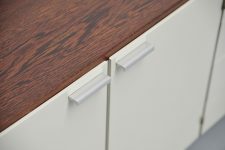 The sideboard has aluminum grips and matt chrome plated legs. 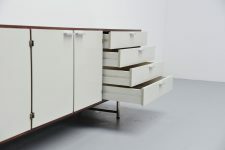 It has 4 folding doors with shelves behind and 4 drawers on the right. The wenge part of this cabinet is fully refinished and is in excellent condition. 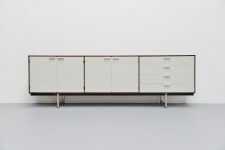 The white front is completely original. 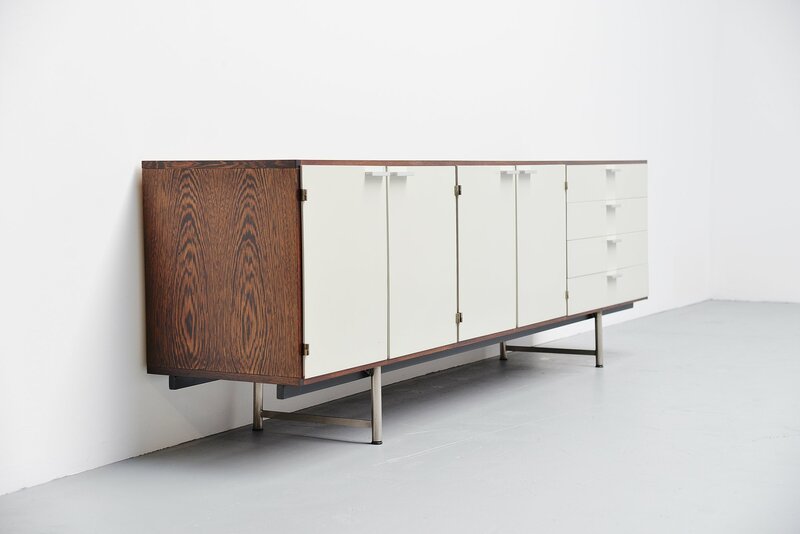 This sideboard would fit in any modern home or interior and would look amazing in it.